NIIT University Admission 2020 will be started from the month of October 2019. The University conducts its own entrance examination to register candidates for various UG & PG courses. Candidates can also apply with the score card of national level entrance examination. 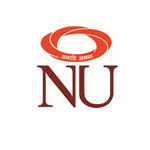 NU is a state level university of the Government of Rajasthan and provides admission in various engineering & management courses. Candidates can go through this article to get details regarding NIIT University Admission 2020 which contain important dates, application form, eligibility criteria, admission process, counseling etc. Under Graduate (UG) Courses: B. Tech, BBA, Integrated MBA, B. Tech + M.S, B. Tech + M. Tech, Integrated M. Sc. Post Graduate (PG) Courses: M.Tech, M. Sc, MBA, MBA with WNS, MBA with NIIT Technologies, MBA with ICICI Bank, M. Tech with PwC, PGDBRM with Federal Bank, PGD with United Bank of India, PGD with Bank of Maharashtra. Online Registration Close 2nd week of April 2020. Candidates can start filling their application form from the first week of October 2019 and can submit up to the second week of April 2020. Candidates can download their application form by choosing their course and filling the required details. Candidates will complete the application form by filling their personal and educational details asked in the application form. Candidates will make fee payment and print the proof of the payment. Those candidates who will pay application fee via Demand Draft will need to send it with the application form to the university. Candidates will upload the photograph and signature in the online application. After submitting the application form, candidates must print the application form for the further process. Extra charges of bank and other payment method will also be charged. Candidates can pay application fee via debit/ credit card or via net banking/UPI. Candidates can also pay application fee with the help of Demand Draft. It should be drawn in favor of NIIT University, payable at Delhi/Gurugram. Fee will be non-refundable and non-transferable. Qualifying Exam: Candidates must have minimum 60% or equivalent marks in 10th standard with the five subjects (English, Mathematics, Science, Social Science and last one can as per applicant’s choice) from a recognized board. Qualifying Exam: Candidates must have minimum 60% or equivalent marks in 12th Standard with the five subjects (Physics, Chemistry, Mathematics/Biology, English and fifth one of applicant’s choice) from a recognized board. Percentage: Candidates must have minimum 60% marks in PCM/PCB in 12th. Appearing Candidates: Candidates who have passed 12th standard or appearing for 12th standard can apply for the entrance examination. Score card of JEE Main/SAT/BITSAT/NUET is required for the admission process. Applicant must secure minimum grade 4 in IB board and minimum grade C in IGCSE board. Qualifying Exam: Candidate must have first division in combination of any 10th, 12th & graduation and second division in the third course is eligible to apply. Candidates who have minimum three year of work experience must have minimum 50% marks in 10th ,12th and graduation. Percentage: Candidates must have minimum 50% marks in their master’s degree. Master’s degree for engineering graduates is not required. For the candidates, NIIT University 2020 Admission Procedure will be started after the declaration of result. NU offered admission to the candidates via two modes i.e. early admission mode and regular admission mode. In early admission mode, candidates who passed their 12th standard earlier can apply. This admission will be granted on first come and first serve basis. Candidates can apply for this admission before the second week of February 2020. Regular admission mode will provide admission to the candidates who will clear the entrance exam. Admission process will be based on first come and first serve. Parents/Guardian of the candidates will interact with NU team on the day of AIP before admission offered to the candidates. Candidates will submit their required fee within the 5 working days after the admission offered to them otherwise their seat will be allotted the next candidate. Candidates can appear in NU 2020 Entrance Exam (NUET/NUMAT 2020) for seeking admission in the university. Candidates can give these examinations (NU Engineering Test/NU Management Test) after choosing their nearby examination centre. Both the entrance exams will be conducted on different dates. Examination will be held online for the candidates. After the entrance test, applicants will go through the Personal Counselling Interaction (PCI) round. NIIT University 2020 Result will be published on the website after the few days of entrance exam. Candidates can view their result with the help of registration number and password. Candidates can download the result from the website which will contain the marks obtained by the candidates in the entrance examination. A merit list will be prepared as per the marks obtained in the entrance test. Interaction to Parents: It is mandatory for the guardians of the candidates that they will interact with the NU team; Only then they will offer admission to the candidates. Interaction to Candidates: It is also mandatory for the candidates to interact with NU team. Document Verification: Candidates will bring all of their original documents for the process of verification. Fee Payment: Selected candidates are required to submit the Acceptance Letter within 5 working days of receiving the Admission Offer Letter along with the admission processing fee. Final Allotment: A final Enrollment Offer will be sent to the selected candidates via email. If candidates have any query regarding the NIIT University Admission 2020, you can ask us by leaving your comment below.